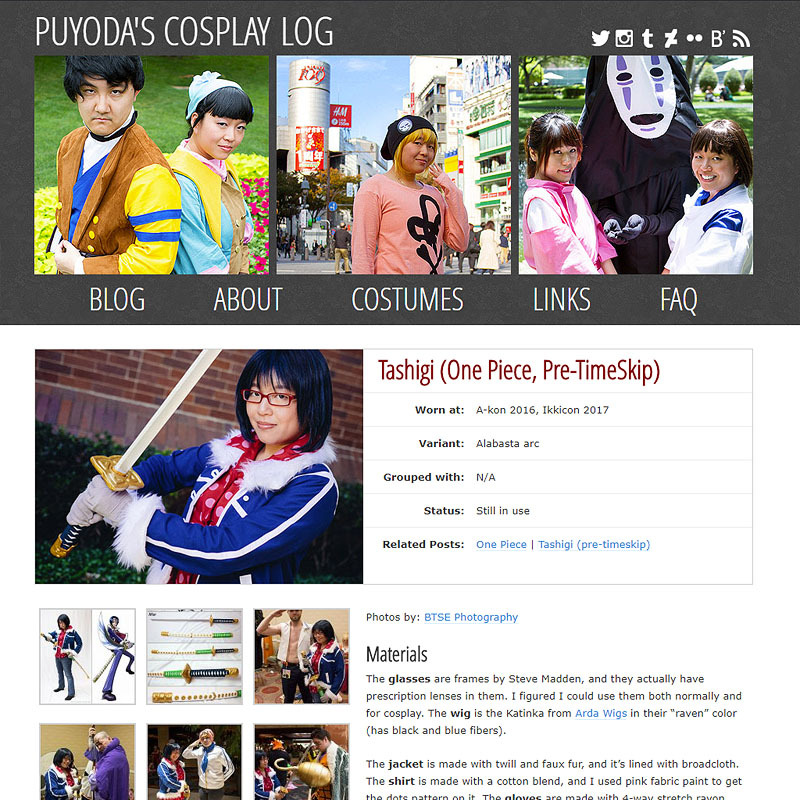 Since this blog is about my cosplay, I figured it’s about time I used a layout that featured my cosplay in the header. 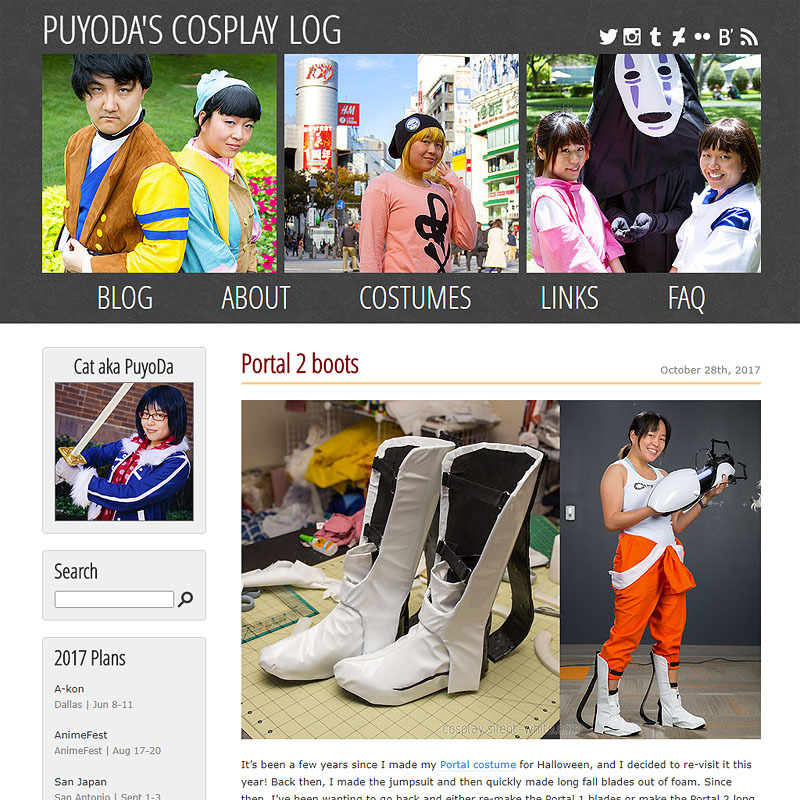 I also took the time to make the site mobile friendly and changed the costume pages to show the photos higher on the page. I set up the header, so that it’d be easy to change out the images if I wanted to later (each image is separate). Thanks to this layout change, I’ve had people recognize me at conventions from my site!